Welcome to The Manse, a beautifully-preserved and well-loved Vacation Home in the town of Renovo, a small town situated amid the beautiful and unspoiled Bucktail Recreational area within the large area of Northern Pennsylvania known as the “Pennsylvania Wilds.” Renovo sits in the beautiful valley of the West Branch of the Susquehanna River in north-central Pennsylvania. This area has long been a mecca for those interested in outdoor sports and activities such as hiking, camping, kayaking, snowmobiling, swimming, hunting, fishing, etc. Nearby State Parks include: Kettle Creek State Park, Ole Bull State Park, Hyner Run State Park, and Hyner Mountain Lookout, The parks offer activities such as camping, hiking, canoeing, swimming, showmobiling, off-roading,etc. 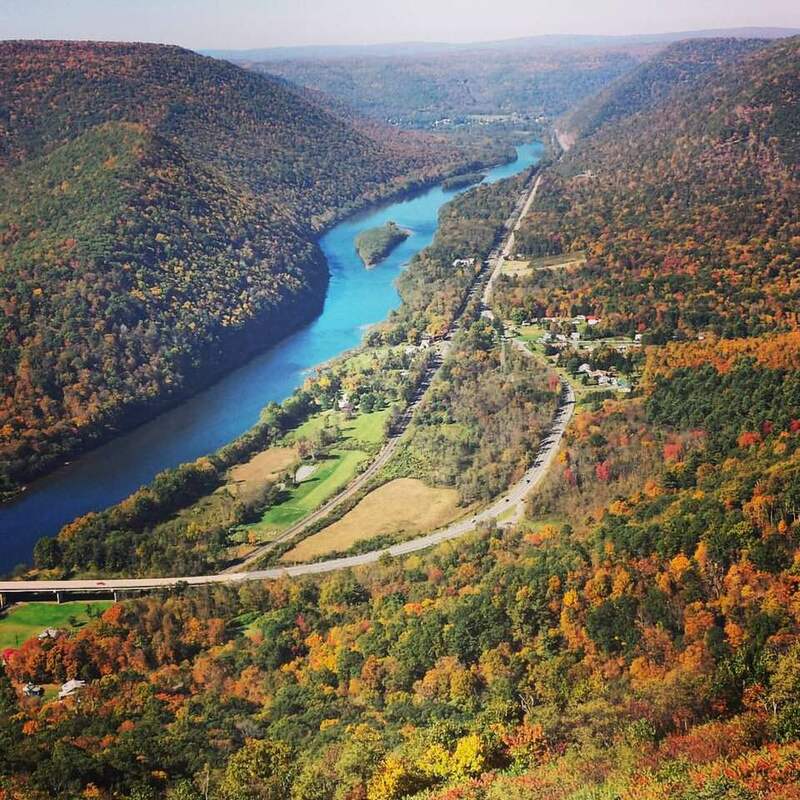 Hyner Mountain Lookout is famous location for Hang Gliding. The annual State Flaming Foliage Festival, held during the second full weekend in October draws over 10,000 folks to this quaint, small town of just 1400 full-time residents. The Festival is celebrating its 69th Anniversary this year (2018), having begun in 1949. The Festival consists of talent shows, Open Market, Food Vendors, and the “Parade of Queens”, convertibles and all, through the town on Saturday featuring representatives of dozens of area high schools, culminating in the ceremonies on Sunday where the new Flaming Foliage Queen is crowned. The Manse sleeps 8 adults and you will have access to the entire house. The house contains all of the original woodwork and hardwood floors throughout. There is a large, comfortable Living Room, Dining Room with seating for 8, “Cook’s Kitchen” which includes everything you will need to create a great meal for yourselves and your guests including all appliances, dishware, cookware, small appliances, utensils, and even some condiments. All of the bed linens and towels are also provided and taken care of by the housekeeper. Also included is the house phone, Comcast TV cable and DVR, as well as in-house free wifi.